What reports do you really need for search engine optimization? How can you make sense of the volumes of data that even low-end analytics tools collect about your site visitors and activity? After all, there are hundreds of canned reports to choose from, but only a few are really relevant for SEO. And the answer is going to be different depending on which type of stakeholder wants information. 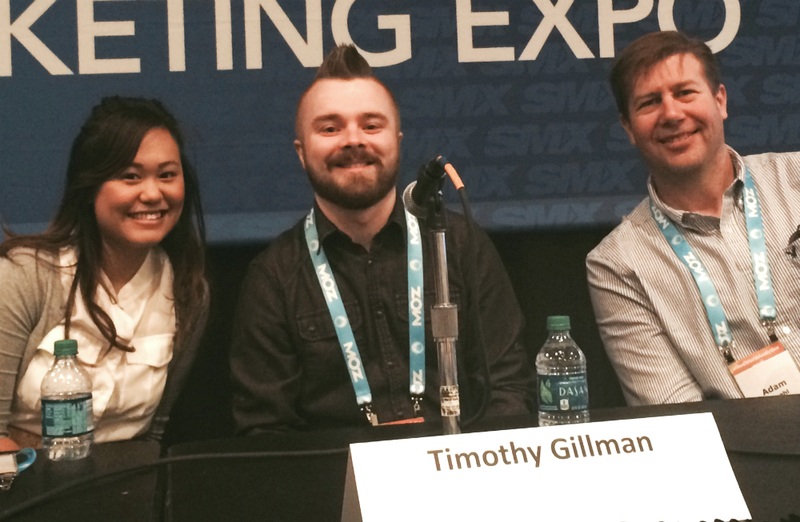 In the SMX East session “The Most Valuable Analytics Reports All SEOs Should Be Running,” a panel of three SEOs share their tactics when it comes to reporting. First up is Adam Proehl (@AdamProehl), a partner with NordicClick Interactive. He is talking about how to present analytics and information to the different teams digital marketers must work with to achieve SEO success. “You can be the greatest SEO in the world, but if you can’t present to executives, you’re going to fall short of your ultimate potential. You can learn all the technical SEO you want, but you also need to understand corporate politics, priorities and limited budgets,” Proehl says. What resonates with them? They want to know what they’re getting for his money. Forget spreadsheets. Show the visuals. Quote the source. Give clear requirements. Translate insights into customer experience. Don’t insult them. Provide them query data, click data and post-click engagement. Show them what their audience cares about. Timothy Gillman (@TimGillmanDrums), analytics strategist at Portent, holds that if you take the time to combine multiple data sets, you’re going to impress people. Using Portent’s data, we’re going to find the best landing pages by search volume and (?). Put URL in SEMRush and look at data. Now, it’s time to customize by filtering out homepage and branded queries. Export it; select CSV, where you’ll have more control. Make a pivot table! Now, onto find out what happens after people visit a site. Head over to Google Analytics. Here, look at the Channels Report. Use Report Filters and eliminate other and PPC channels, and use custom segment, which will stay intact across multiple reports. Make sure to add metrics, primarily KPI metrics, and add landing page dimension. Export the file as a CSV, and combine this data with the original CSV from SEMRush. From here, visualize the data. Visualizations drive home our SEO efforts. If you tweet to @TimGillmanDrums, he will provide you with a Google Analytics custom report and a dashboard. Leslie To (@itsleslieto), director of SEO at 3Q Digital, says the first thing you must think about is this: What metrics and dimensions do you care about most? Select a metric. Focus on KPIs. To focuses on users + sessions, sessions per use, revenue per user and a few microconversions. She likes to use default channel dimensions because it provides context. New customers are important, obviously, but don’t forget about existing. Converters vs. non-converters. Can we utilize certain channels to make up for performance gaps in others? Final thought: Mindful reporting leads to actionable insights.